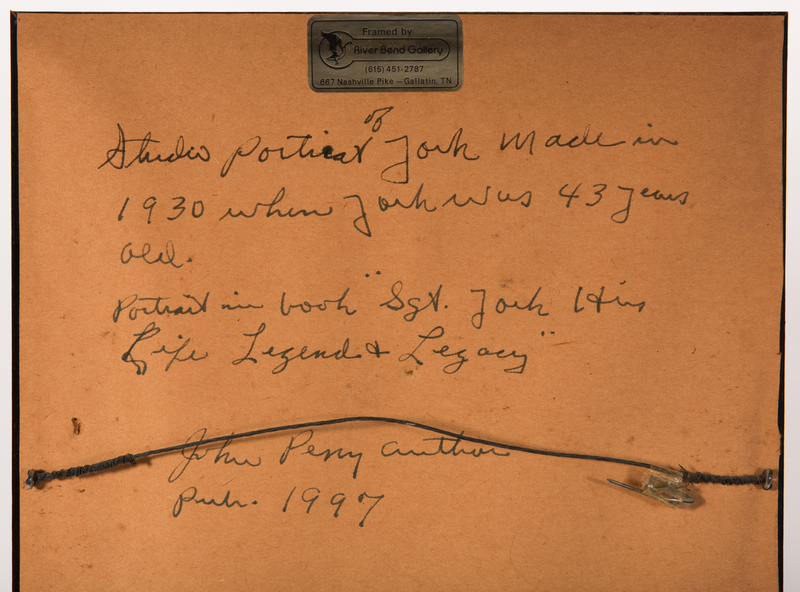 Three (3) Sergeant Alvin Cullum York autographed items. Includes a black and white photo of York with ink inscription reading "To Miss Barneballor Sgt Alvin York" top right. 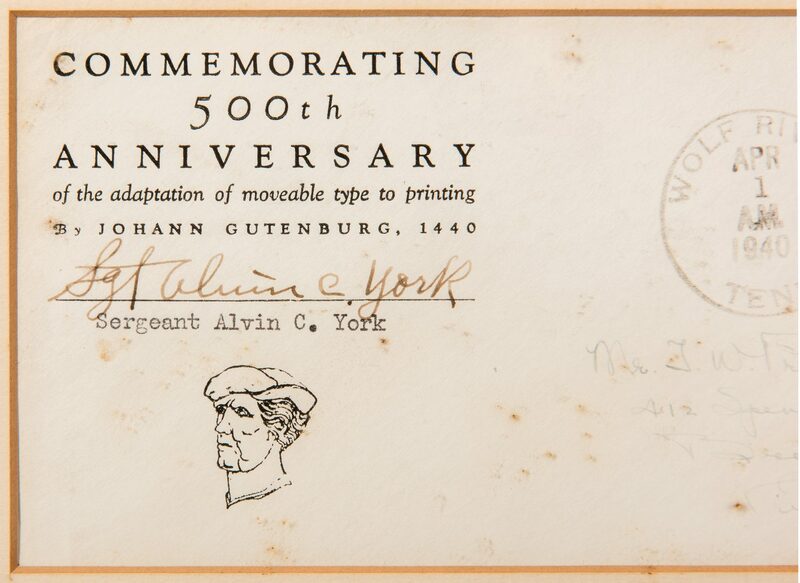 Includes a 500th Anniversary Johann Gutenberg press 1639-1939 first day cover, with ink inscription reading "Sgt. 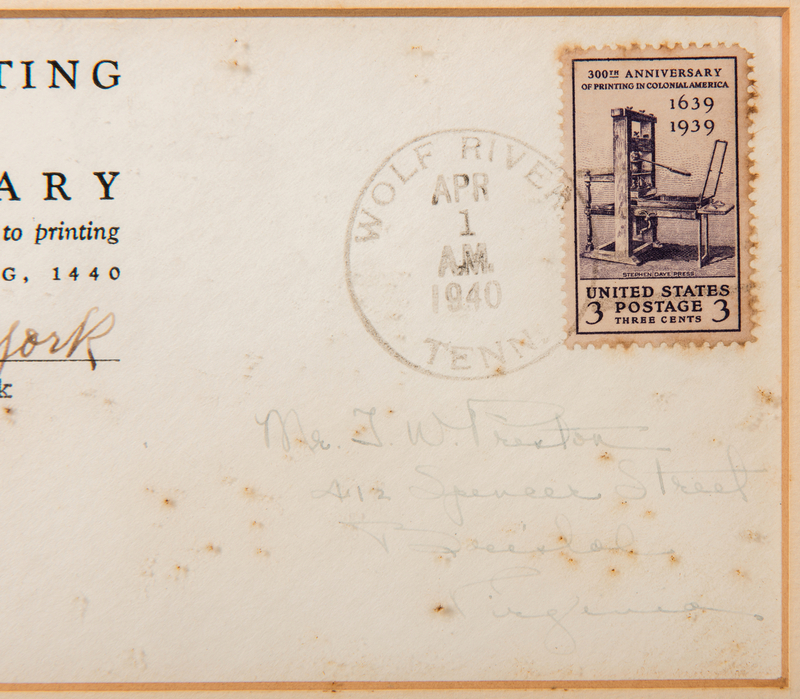 Alvin York", center left, postmarked April 1, 1940, Wolf River, TN with stamp and additional address, right. Also includes a cut signature with ink inscription reading "Sgt. 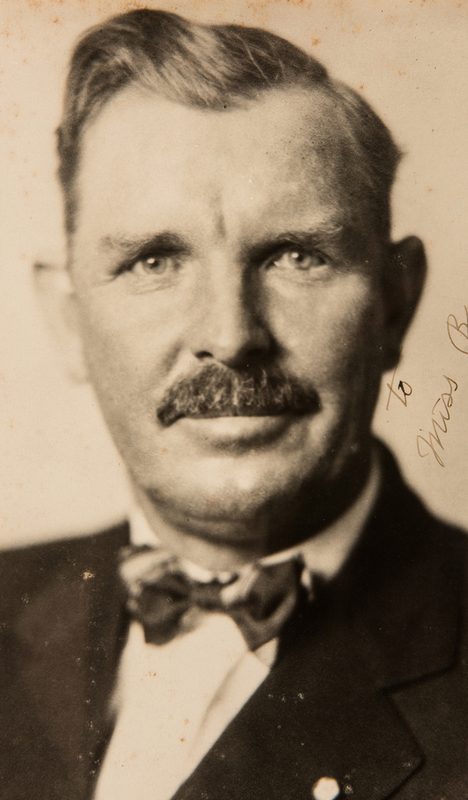 Alvin York". 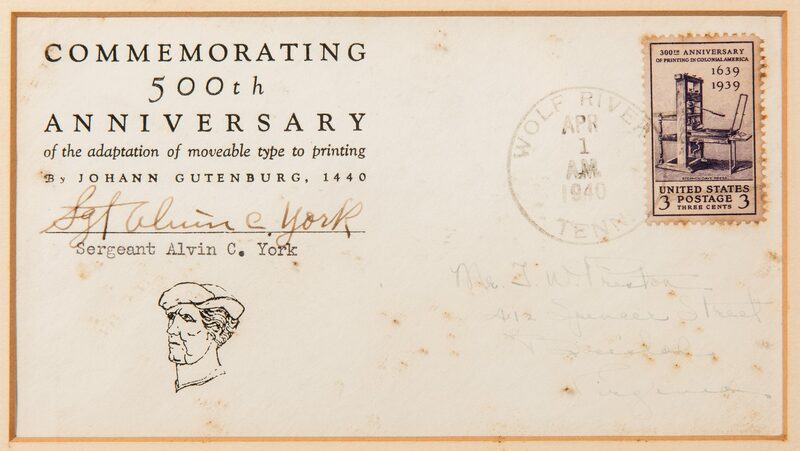 Ink inscriptions about items and River Bend Gallery, Gallatin, TN label, en verso. Items matted and housed under glass in a black wooden frame with gilt rabbet edge. Sight – 18 1/2" H x 9 1/8" W. Framed – 19 1/2" H x 10 1/4" W. Provenance: The collection of internationally known ragtime pianist and historian Johnny Maddox, Gallatin, TN. 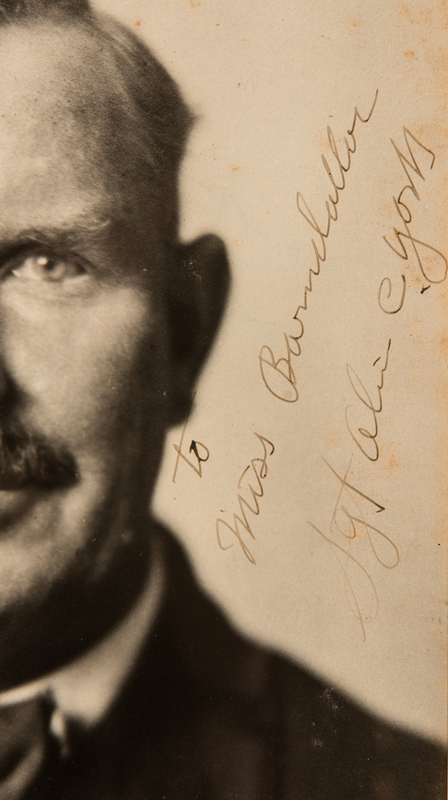 Biography: Alvin Cullum York (1887-1964) was one of the most decorated soldiers of the First World War. A recipient of the Medal of Honor and the French Legion of Honour, York is considered one of the greatest of Tennessee's native sons. 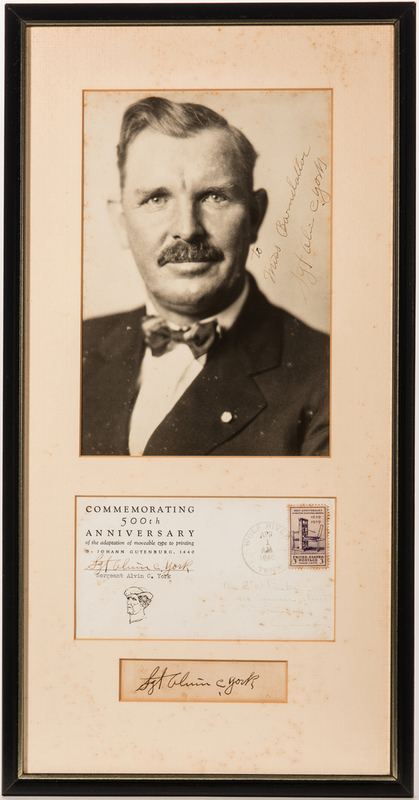 After the United States became involved in the war in 1917, Alvin York received his induction orders from the U. S. Government. He was twenty-nine years old and had never been more than a few miles away from home. 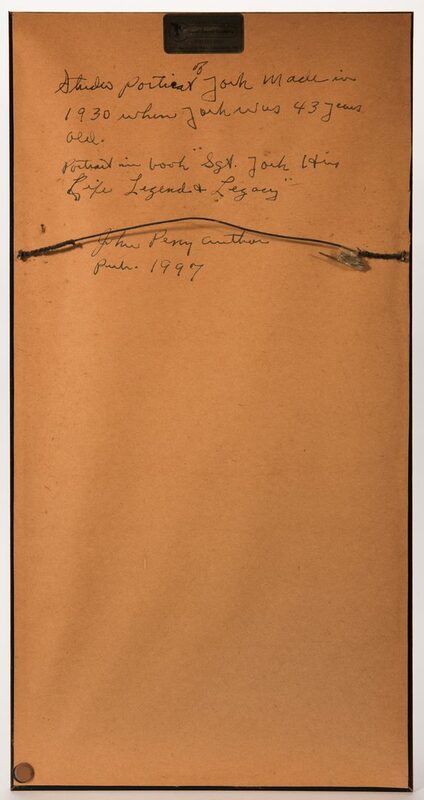 He visited the general store of Parson Pile in order to send his military draft registration. York had reservations about serving in the war based on his religious convictions, but upon later reflection he determined it was his duty to fight in a war against the evils of the world. 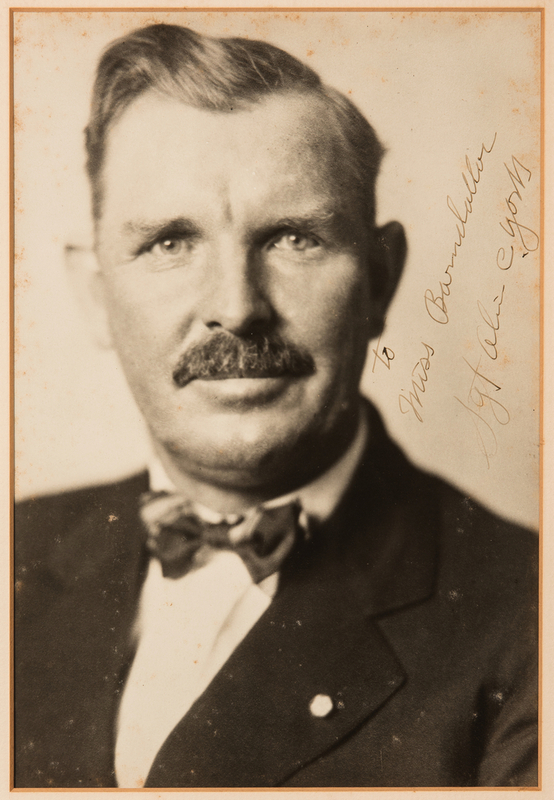 After basic training, Private Alvin York served at Camp Gordon, Georgia, in Company G, 328th Infantry Regiment, 82nd U.S. Army Infantry Division. Cpl. York and his company were sent to the battle lines in Western Europe. During an attack on his battalion along the Decauville rail line north of Chatel-Chehery, in the Argonne Forest of France on October 8, 1918, Sergeant Bernard Early, four non-commissioned officers and thirteen privates, including York, were ordered to penetrate behind the German lines and take out the nest of machine guns. The group was largely successful in their endeavor, capturing many Germans who were preparing a counter-attack against Americans. However, machine gun fire broke out on a ridge. Many in the unit were killed or injured. The losses put Cpl. York in charge, and he and seven infantrymen worked their way into position to take out the German guns. York encountered several Germans and attacked their position, killing many and capturing others. He "got hold" of a German Major who said that he would make the others give up. (source: http://teva.contentdm.oclc.org/cdm/landingpage/collection/p15138coll10). CONDITION: 1st item: Overall good condition with foxing spots, surface of items and matte. Areas of mold, largest 1/4", lower quadrant of photograph.